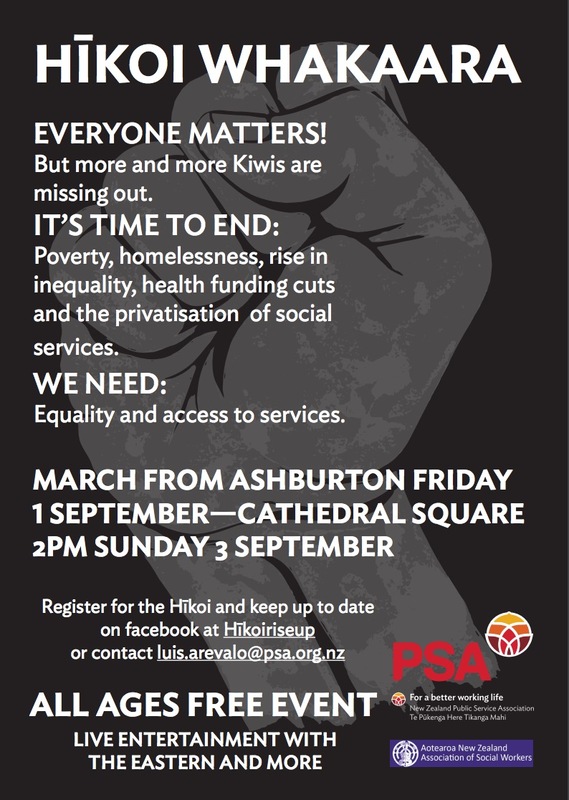 Inspired by the British Association of Social Work’s march against austerity, social workers from Aotearoa / New Zealand have planned a march starting on the 1st September advocating an end to poverty, homelessness, inequality and the privatisation of social services. IFSW Secretary-General Rory Truell said: “These and other examples of IFSW member’s organising protests are fundamentally important to our communities, people that use social services and the colleagues we work alongside. They give people hope – an understanding that other’s care – momentum and a vision for the future, especially when they feel let down by their governments. 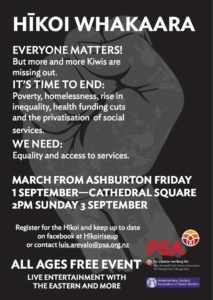 IFSW fully supports the march in Aotearoa / New Zealand”.